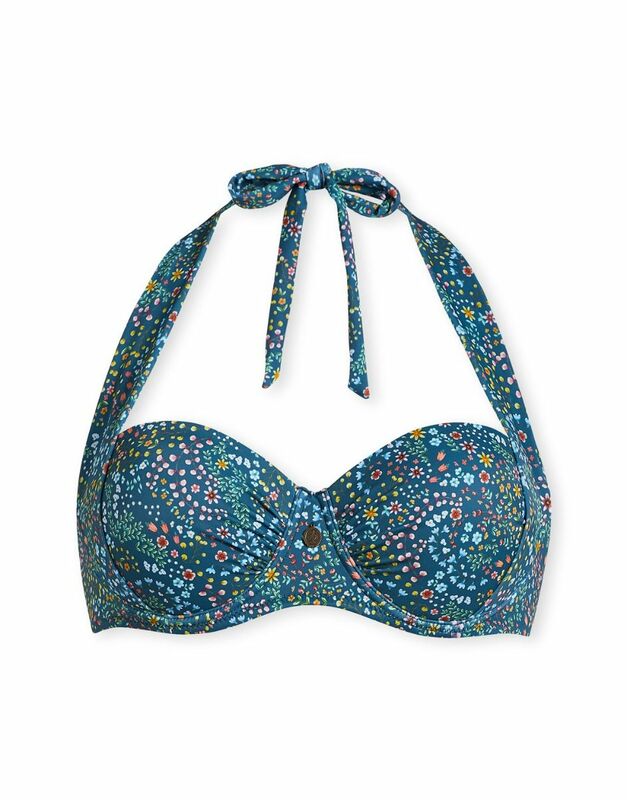 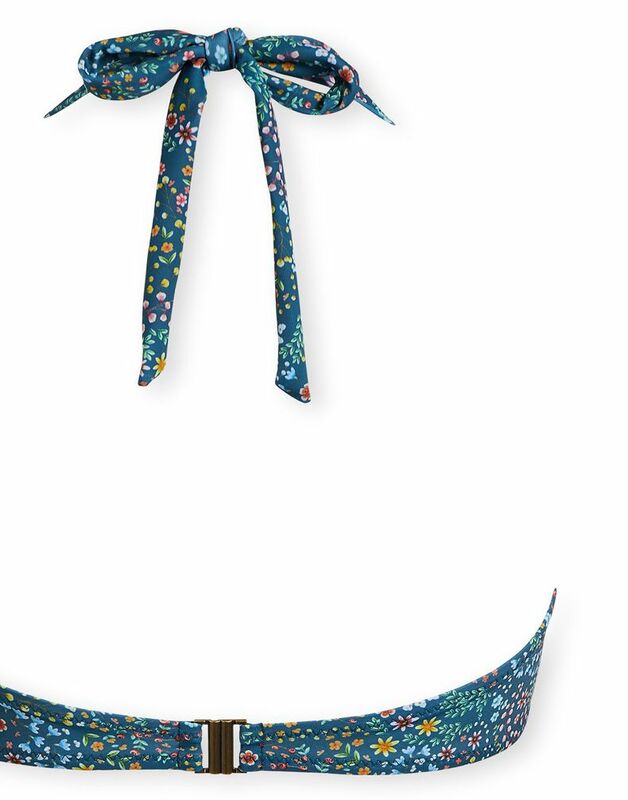 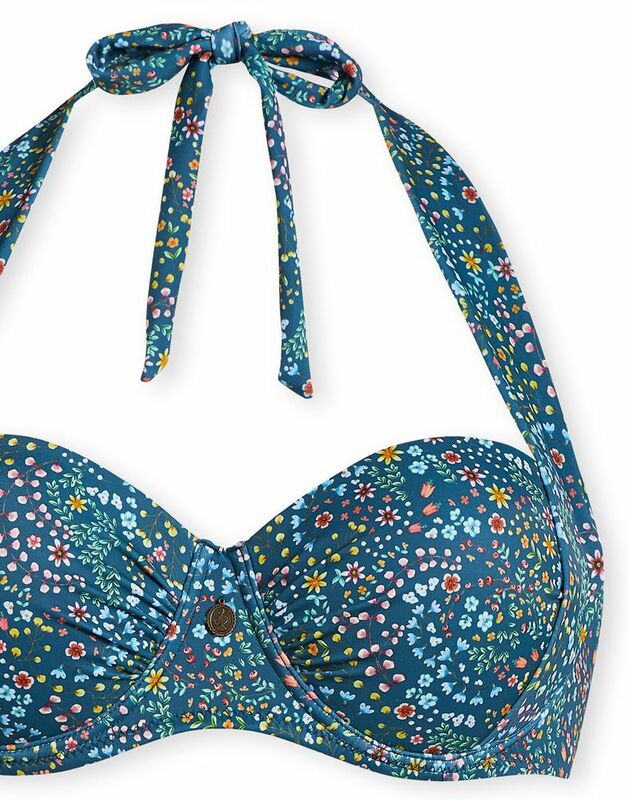 This pre-shaped bikini top with underwire is decorated with the Beldie design, featuring colourful flowers. 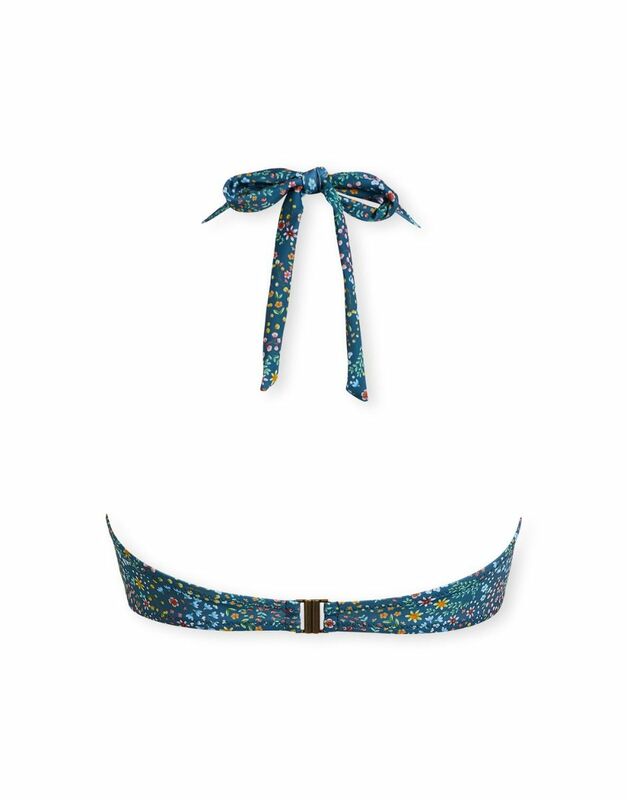 It can be worn in two ways: as a halter or bandeau. 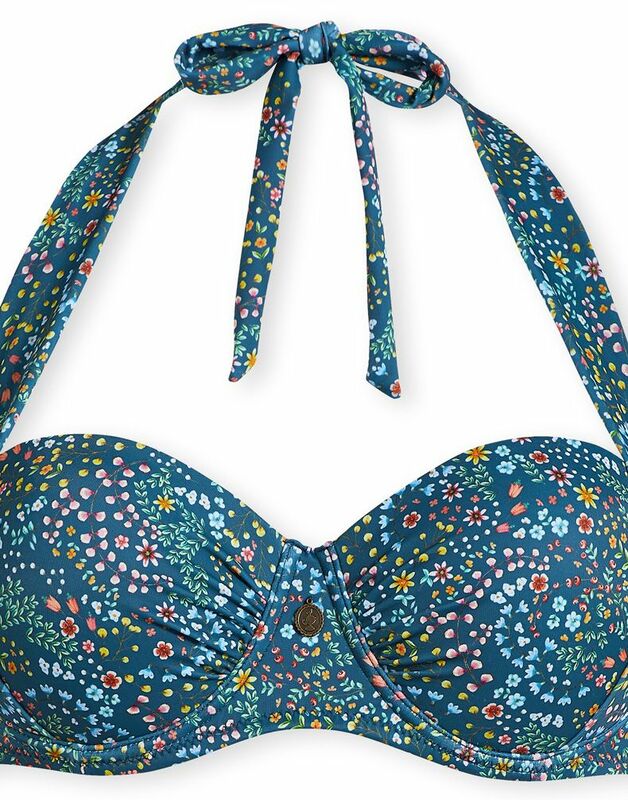 Easy to secure with the click closure on the back.